Several news items popped up this week that caught my interest and I thought that you guys would also enjoy them. One is an update of an earlier story, the other two are new. Back in February, I told you about Action Comics #1 going up for auction. This comic was notable because it featured the first appearance of Superman and it ushered in the Golden Age of superhero comics back in 1938. Before this comic, there were no superheroes as we think of them today. 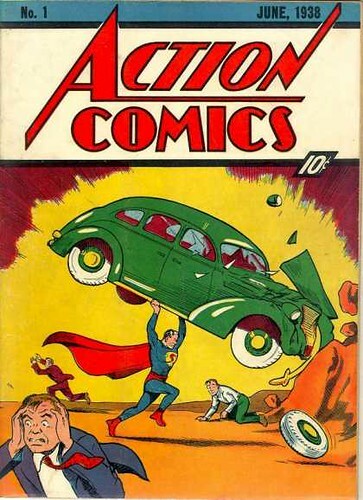 Well, that copy of Action Comics was sold for $317,200. Not bad for an initial 35 cent investment, right? Well, another legendary comic book went to auction recently. 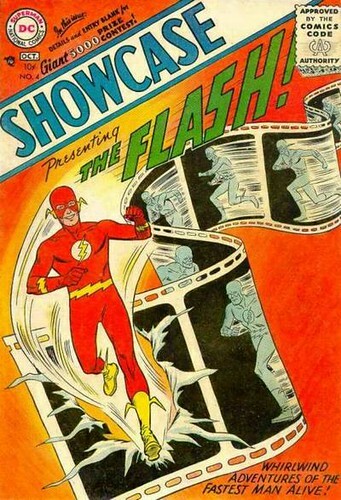 That comic is Showcase #4 from 1956 and it features the first appearance of the “new” Flash (who also happens to be my favorite comic book character of all time). My reading habits do not, in fact, change during the summer. The only times my reading habits change is during Halloween and Christmas, when I tend to read appropriately traditional books for the specific holiday. But Summer is just a continuation of my regular reading habits. However, if I had to pick, what more “summery” reads I would recommend? Jimmy Buffett wrote two great books that would work well for sitting on the beach, listening to the surf and reading. The first is a collection of stories called Tales From Margaritaville. It’s a surprisingly fun and clever collection from a first time writer (Jimmy’s written several books since this one). I honestly did not expect to like it as much as I did. Which led me to read his second book, and his first attempt at a full length novel story, Where is Joe Merchant? This is another, very casual, but very fun story I enjoyed from start to finish. It follows a group of people in search of rock star, Joe Merchant, who supposedly committed suicide many years ago but keeps popping up in tabloid headlines. Definitely a rollicking summer read. Okay, how about travel guides? There is one in particular that my wife and I found extremely helpful on our trip to Paris in 2007. It had tons of information and several great suggestions of sites to see that we never would have found on our own. It was Rick Steves’ Paris. If you ever plan on traveling anywhere in Europe, take a gander at all of the Rick Steves books. They are fantastic. I know if Steph and I ever make the trip to London or Rome, Rick Steves is the travel guide we will pick up. So, I hope everyone has a great Memorial Day and enjoys the day off. We’ll be grilling burgers and brats for dinner. See you later this week. I know many of you are stuck in the Stone Age so you aren’t following the fun at Twitter. It’s pretty zany. For those of you not joining in, I thought I’d show you some of the tweets I’ve been putting up just so you aren’t missing out. You can see my last tweet at the very top of the profile page about my thumb drive crashing. That is true. I’m trying to recover several things I lost on that drive. Luckily, I didn’t lose anything devastating, but it is a pain in the posterior. Like I said, I’m going to post a few of my tweets so you can get an idea of the massive amounts of funny that is getting thrown around the Twittersphere. I’ll do this every once in a while to keep the Twitter-less readers “in the loop”. Here’s a tweet I did about American Idol back in April. I sent this when they were still in the top 10. Well, the new Star Trek movie opened on Friday. And since Saturday was my birthday, my wife and I went to see it on Saturday afternoon. And since our local theater has AMC IMAX, that’s the format in which I wanted to see it. First, I’m going to talk about the movie, then I’m going to give you a bit of a public service announcement about AMC IMAX. First off, I’m a Star Trek fan. 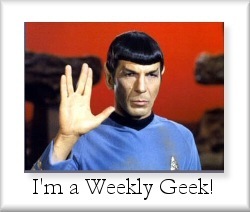 Not a Trekkie (or Trekker) but a fan. I loved the original series, Star Trek: The Next Generation and most of the movies. I even enjoyed reading Bill Shatner’s Star Trek Movie Memories book. So I was excited to see that JJ Abrams was re-imagining the original Star Trek crew. However, when I saw some of the casting choices, I was a little wary (except for Zach Quinto as Spock) because my love for the original crew was causing knee jerk reactions. But, when the first trailer was released…HOLY CRAP…I was on board in a big way. This thing looked fantastic. So on my birthday, I grabbed Steph and we went to our local AMC to watch the new movie. And since they had it in IMAX, I picked that because Star Trek on IMAX is gonna ROCK! Beam me up, Scotty! And yes, the movie was everything I wanted it to be and more. Chris Pine was FANTASTIC as young Kirk. Played him perfectly. The scene where Kirk defeats the unwinnable Kobayashi-Maru test is everything I wanted it to be. The dynamic between Spock and Kirk is perfect. Karl Urban as Bones is phenomenal. The rest of the crew is also spot on. The action is awesome and the story lines are interesting and handled well. I want to see this again. Actually, I could watch it two more times. I couldn’t have asked for a better Star Trek movie. This is better than the majority of existing Star Trek movies. The only movies I’d put above this are Star Trek II: The Wrath of Kahn, Star Trek VI: The Undiscovered Country and Star Trek: First Contact. And this new one may move up the list as I watch it more often. My wife even loved this movie, and she doesn’t really like Star Trek. Go see it. I plan on watching it again. 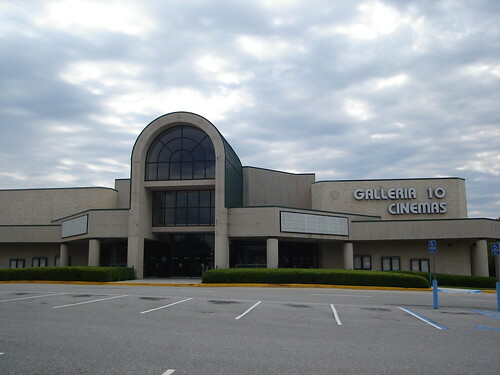 Okay, now it’s time I mention the IMAX screening on which I saw Star Trek. AMC has really been pimping out that they are showing IMAX movies the last few months. I was excited, but I waited until a movie that would really show off the format was released before plunking down the extra $5. Star Trek was it. However, what I found out is that AMC IMAX is NOT the IMAX you are thinking of. When people think IMAX they think 70 ft screen and sound that blows out your eardrums. However, when AMC says IMAX, they mean IMAX’s proprietary digital picture and delivery system. The screen is only slightly larger than a regular movie screen, which is a FAR cry from the traditional IMAX screen. Check out this comparison I found on LFExaminer.